Having said that, I will continue with some ideas for cool Avatar Gameplay that can be implemented in Nova. This is something very important and we need it from day one. Having interconnected game features and the same characters across all EVE games will be vital for us, since at one point, when they are developed further, these games will merge into one. There was something like that shown at Fanfest some time ago. Not sure how far in development is this feature, but looks like our devs are committed to it. So I am expecting it. In the shooter experience this will be a ‘must-have’ thing. Having the freedom to look at our surroundings in both ways - this will add to the immersion tremendously. And it is pretty much a standard for contemporary games of this genre. Yes, why not? I mean - we know that Nova will feature spaceship interiors, along with the rest of the stuff, so it is completely natural to have some action and events in the stations. I mean station maps where players can fight, pretty much like the maps that were shown at Fanfest. This can be added to Nova initial gameplay. Stations in New Eden are huge. They have many levels and thousands, even millions of people aboard. If you look at the top of most Gallente stations, you will see a large dome with a green city in it. It has forests, and lakes along with the numerous lights that represent buildings and vehicles. It would be really cool if we can visit these places, along with the rest of the station interiors, and have some action going on there. I keep saying that and I will say it again now. Missions! We need missions in Nova. Just like we have them in EVE, but I guess they need to be implemented with group activities in mind. This will add a variety of options when it comes to FPS gameplay and more troopers will come in. If such things like Action in Stations are implemented in Nova early on, there will be more things for us to do when out of our capsules. There can be many different sorts of missions in these stations - from espionage to a full scale combat, vehicle chases, infiltrating buildings and so on. Oh, and Avatar Gameplay Epic Arcs! This is definitely something that I look forward to see in Nova. Not just on stations, but on planets, moons and asteroid colonies too. These things are not mutually exclusive, so it is a natural step to combine them, providing a rich experience for everyone. And along with the Action in Stations, the regular avatar social interactions that we’re all waiting for, can be implemented in this same setting. We can have some private and public spaces where people can meet. There are some other things about this, that I want to mention. First off: long term - all these private and public places in the stations (including Captain’s Quarters) - make them fully customizable. Would be great if we were able to customize the shape of our place and then add furniture and decoration, add natural elements like trees, bushes, flowers and other. This will probably require a huge team of devs working only on this feature, so yeah, long term goal. When we have this, just imagine how easy will be to organize an event for example. Some capsuleer charity dinner or a ball, you know, all these things that Roleplayers do in dedicated chat channels. Moving deeper into this. Our avatars should be able to interact with each other. Be it a hug, or a pat on the shoulder, high-fives, handshakes, dances, jumping on someone’s back and so on. I bet this will be tricky to implement. In most cases these types of interaction would require mutual consent from each player, so, for example when you want to hug someone, you would approach them, hold left click on them to open a radial menu, choose “Hug” and then your character will warmly open arms and wait for the other player to click the “Accept” button, so you and your friend can hug. If the other player clicks the “Reject” button, their character will avoid the hug and all of a sudden the situation would become very awkward. Hmm there might be some third option here. When someone wants to hug you and they prompt the “hug request”, if you are too slow to react, they will eventually hug you, but your avatar will stand awkwardly for a moment, not returning the hug. And if we add group hugs, things can get really tricky. Stuff like that. It is a bit strange, I know. There may be some better ways to implement this. Oh, and some combat interactions between characters - like punching or kicking, throwing someone over the table, stuff like that. I am sure that there are many players that would want to start a fight at the bar, maybe in some stations with low security. So this might be something to think about. Another cool thing that would be good is to have is windows in our Captain’s Quarters and in all the other public and private places that we would visit while in stations. Everyone would enjoy a view of a nice space nebula, or a cool looking planet below the station. And, please, let’s remember that all these massive metal station interiors are so depressing, no matter how fancy they look, so it will be really good if we can have more natural materials for the interiors, as well as trees, bushes and even flowers. Would look strange if we have metal walls and flowers at the same place, this is why more natural materials are required for walls, floors etc. I am sure you understand what I mean. Another detail: Corporation and Alliance wide Quarters - you know, the places where you and your friends will want to meet and socialize. Along with social places, there can be some briefing rooms for sharing intel before an operation, or an armory room, where troopers can select their loadouts. I am sure that we will have some really cool interface for these things, and physical places like these will not be as needed, but overall will be good to have, just for the immersion. Well, we will definitely need some place to test our equipment, so there is that. I am jumping from one thing to another, I know, but I find these things to be the basic stuff that we need. So here is more: vehicles - not just on the ground, but on stations too, as well as on some larger ships. At least we are gonna need them in the huge stations when we travel from venue to venue, or we need to reach a remote location in the station dome, etc. Of course, there can be some clever tricks for fast travel between these places, but, again, having the experience of travelling in a vehicle, will add to the immersion. Next: Running in Stations. Allow us to run and even sprint while in stations or other public places, but give us some bonus when we keep calm and walk. Let’s say: give us some special bonus points that we can use to get some small discount out of PLEX prices for items in the New Eden Store. 5% or 7%, maybe up to 10% discount when a player has a good record. Might be tricky to implement, but there is the idea. In addition there can be some security drones, or guards, that will get alert when someone is running or sprinting too much, and may even stop them for inspection. This will stimulate us to walk calmly when in public places. I often look at characters full body portraits when I am ingame, just to see how well they managed to dress up with the limited options that we got today. I know, the Art Team is very busy, but long term, there should be some increase in avatar clothes variety as well as more frequent releases of new clothes. I got some ideas about this in a blog post from years ago. Present time this is not all that much needed, but when we have avatar interactions in stations and other places, it will become necessary. And some more ideas about this. It would be cool if we had some Wardrobe section in our Inventory window in stations, where all our clothes can be kept across all stations, just like the PLEX Vault. Also - when we get the Incarna features in Nova, it would be good to have the option to change our avatar’s clothes without affecting the public portrait and full body portrait in the character Show Info panel. This is how we would be able to dress quickly and appropriately when going to an event. I do remember seeing something like this in a video that is no longer available, so I am sure our devs have thought of this option. These are the things that I wanted to mention. I am sure most of these ideas have crossed the minds of CCP and many other people here. 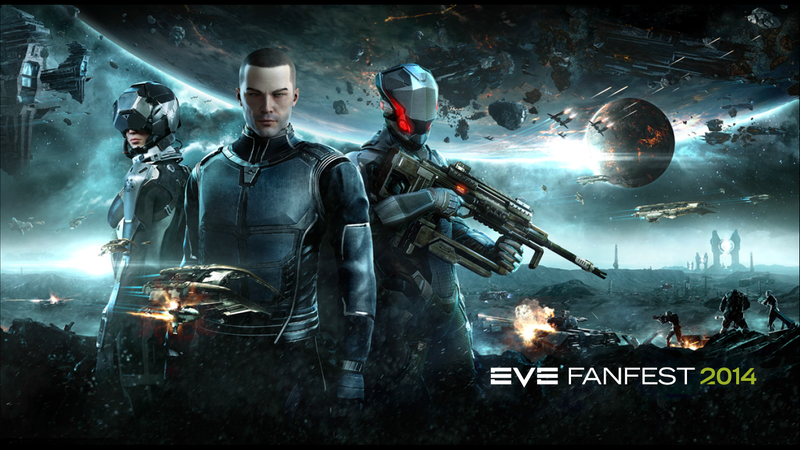 Having avatar gameplay and avatar social interactions is a vital and desired part of EVE’s evolving gameplay, so it will be good to have it sooner. I hope there can be a good understanding between players and devs on this topic, so that we can make the best of this part of the game.